I have something fun to share with you today! 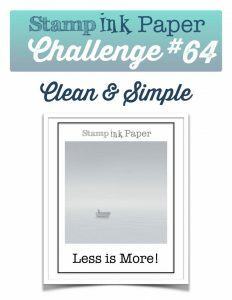 I get to be a guest designer with the Stamp Ink Paper Challenge over the month of September! Awesome!! And lucky for me they started off “easy” (for me) with a Less Is More challenge this week. Right up my alley! Back in July I has colored this flower from Altenew’s Botanical Garden for the 30 day coloring challenge but never used it for anything. But there it sat calling out to me. I thought it would be perfect for this kind of challenge since a clean card allows focus on the flower itself. Just a couple of colors of Zig Clean Color Pens can create such a beautiful look! I love the wash on this flower! The sentiment comes from a Paper Pumpkin Kit (love that font!!) and seemed just right to match the style of the image. I cut the panel using my trust Stitched Rectangles dies and added a few Sparking Clear Sequins from Pretty Pink Posh. These have a touch of gray to them but also can take on colors behind them. My favorite sequins! 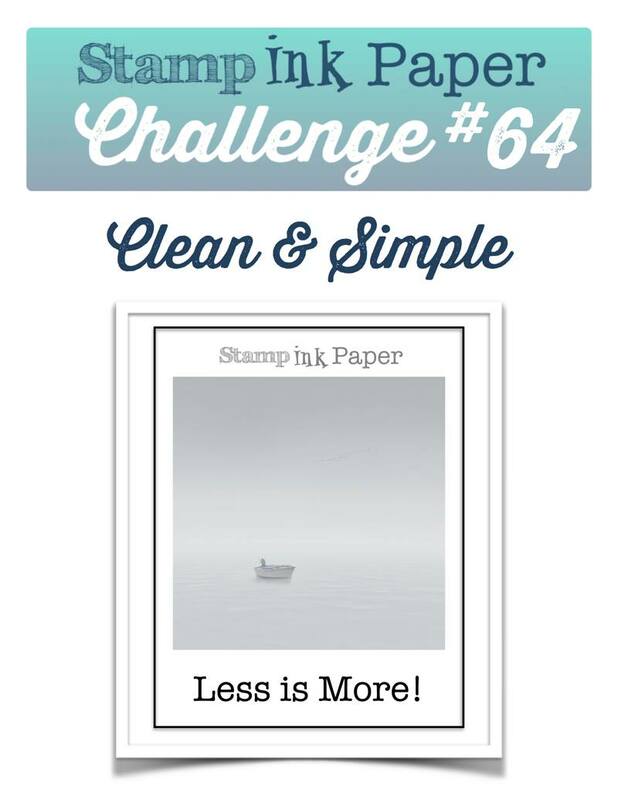 I hope you will join in with us for this week’s challenge. Super fun inspiration from the DT for sure! Back tomorrow with the latest from Freshly Made Sketches. Until then, I hope you have a great start of your week! 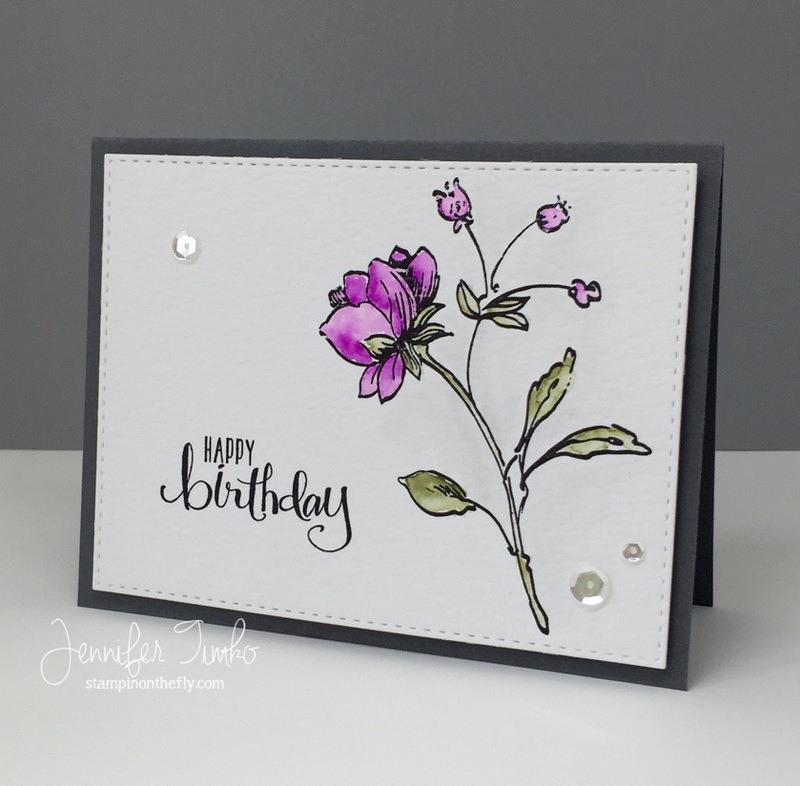 What a gorgeous card Jen !, Love this delicate flower and your fabulous coloring !